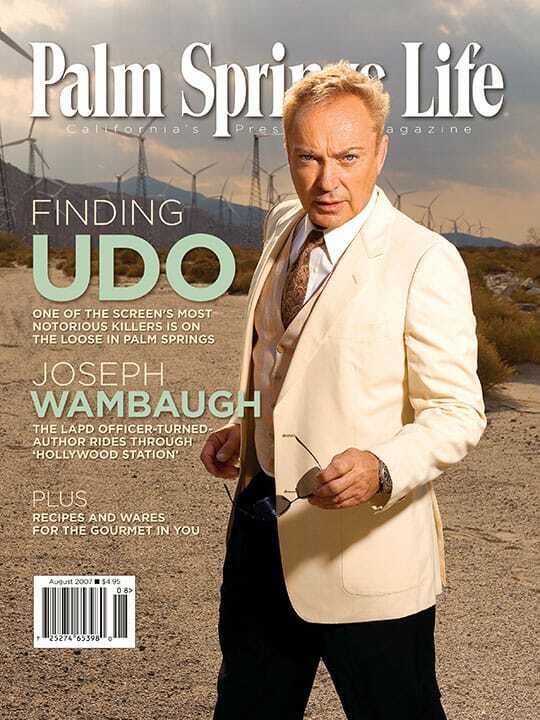 ON THE COVER – Udo Kier. Photography by Jon Aigner. By Steven Biller. Photography by John Aigner. 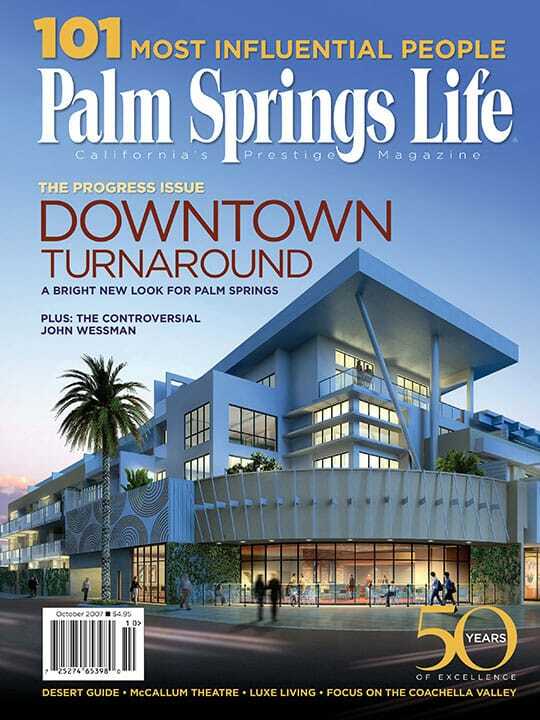 One of Hollywood’s most notorious killers has found something special in Palm Springs. But can you penetrate his barrier of privacy to see what came from his midcentury mind? By Tod Goldberg. Photography by Michael Childers. Former cop and best-selling author Joseph Wambaugh continues to break new ground in the crime genre. By Sharon Apfelbaum. Photography by Jon Edwards. Locally grown ingredients star in Chef Jason Shaeffer’s 1500 Ocean recipes. 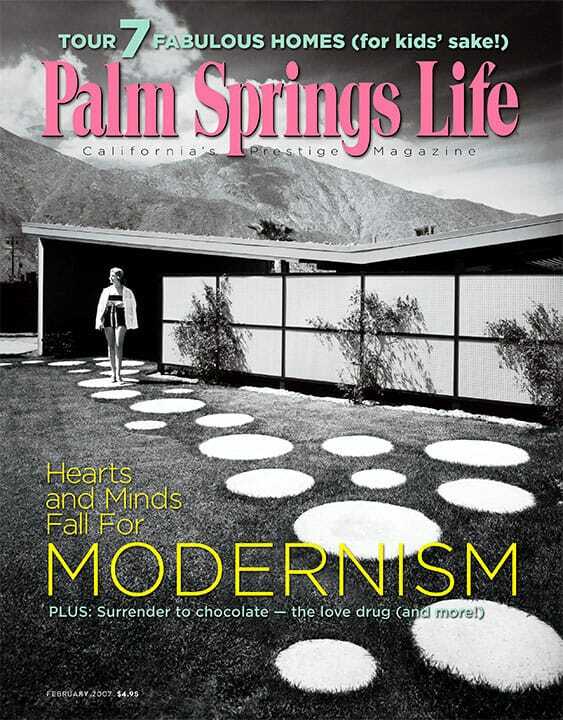 Author Peter Wild delves into the Spartan lives of Palm Springs’ early desert rats. The old Pony Express, design-inspired functional sculptures, Slow Food advocates, and The Ageless Secret. Get tasting, sipping, baking, and cooking with these gourmet must-haves. Maynard Dixon, one of the best early California painters, holds ties to the Coachella Valley. Farewell, lord of the rings.